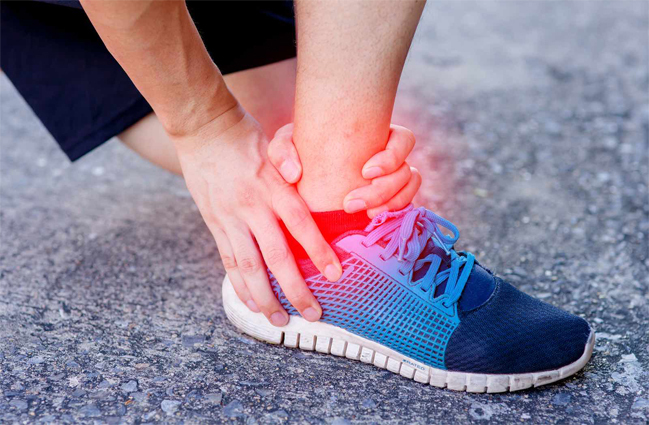 Ankle sprains are one of the most common sporting injuries. Usually the injury recovers with suitable rest and physiotherapy. 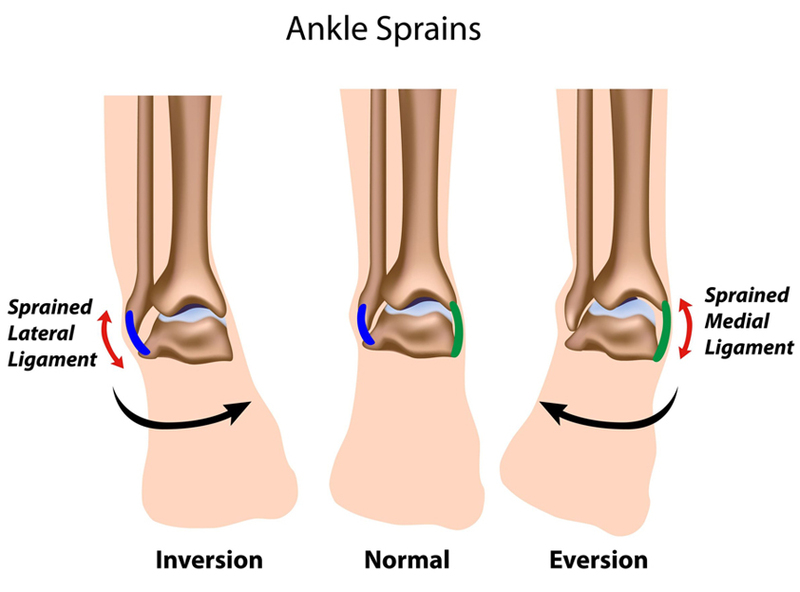 Ankle instability occurs when the ankle repeatedly gives way during sporting or even daily activities. This leads to recurrent ankle sprains, joint pain, swelling, inflammation and damage to the ligaments around the ankle. Some people experience ankle pain intermittently, others feel that their ankle that ‘aches’ more often. Recurrent instability episodes can cause damage to the joint surface cartilage, the formation of bony spurs (osteophytes) and arthritis. 1. Rest. You may need to use crutches until you can walk without pain. 2. 20 minutes every hour or two during the day. Always keep a thin cloth between the ice and your skin, and press the ice pack firmly against all the curves of the affected area. 3. Compression. An elastic compression wrap, such as a tensor bandage, will help reduce swelling. You wear it for the first 24 to 36 hours. Compression wraps do not offer protection. So you also need a brace to protect your ankle if you try to put weight on it. 4.Elevation. Raise your ankle above the level of your heart for 2 to 3 hours a day if possible. This helps to reduce swelling and bruising.